A Weekly Journal of Freemasonry, Literature, Science, and Art. 1/1, March 13, 1869. 8 pp., 12s. 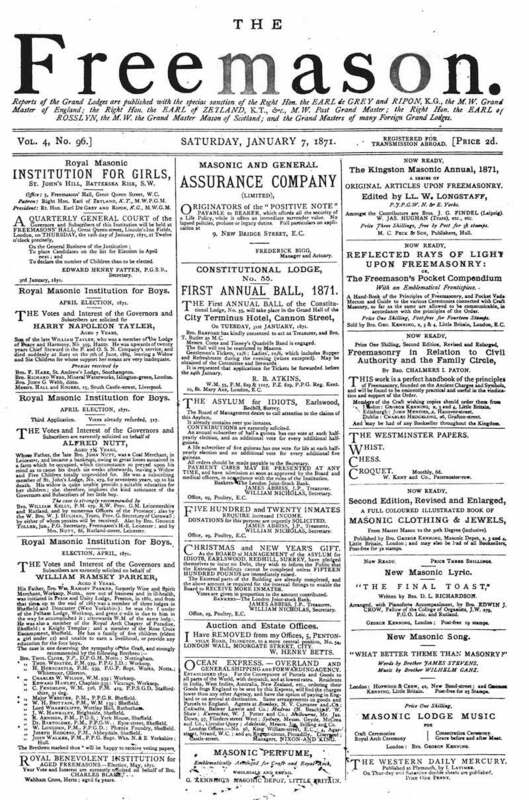 A journal of Masonic news and lodge activities published with the sanction of the Grand Master of the Grand Lodge of England. Cornell University; Wilmington Library; University of Massachusetts, Amherst; BNF; Texas A&M University, etc.